Golf GPS and golf laser rangefinders have been at loggerheads for a long time and everyone has an opinion on it. Both kinds of devices propel you leagues away from the time you had to depend on flags and sprinklers for distances and take your best guess. With technology at hand, golf does no longer feels like you are going to war wearing a party hat. The ubercool golf GPS devices or the accurate laser rangefinders lead from the vanguard. Since distance is the most sought after value in golf, this is the first point of contention between golf GPS and laser rangefinder. In golf GPS rangefinder, the Global Positioning System employing satellites is used to measure the distance. This is the same concept as used in car navigation. 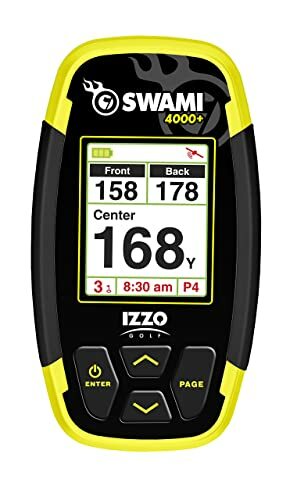 Quality golf GPS devices can measure the distance within yard of the target. While the cheaper versions may be off by a few yards. Cost is the next biggest deciding factor. And this makes the ground even for this face-off. A number of GPS enabled golf rangefinders are available for low price and upwards. Many Golf GPS apps for your phone are even available for free. Whereas, a regular laser rangefinder will cost you north of middle price. Given that it is not as multifaceted as Golf GPS devices, the price is a bummer. Laser Rangefinder, on the other hand, aims a laser wave at the target and receives the reflected ray. The distance is found by using the Distance = Velocity X Time equation. Fairly easy and accurate within a yard if you have steady hand. In terms of accuracy, laser is a consistent winner. Only some Golf GPS devices are as accurate. The question is of how much importance you attach to the uncertainty of a few yards. Laser rangefinders are handheld and can be carried in your golf bag. They have to be aimed at the target and distance can be read at any place. Some Lasers also figure in measurement of elevation to the target. 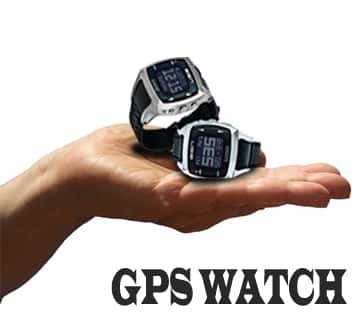 Golf GPS devices are available as handheld tabs, GPS watches, belt clips, you name it. Most of them come preloaded with 20,000 or more golf courses. Handy as that is , some courses may be left out. However, if you are playing on a preloaded course, the distances are available instantaneously and do not require any aiming. A lot of these devices have auto hole advance feature that advances your position on the map as you play through the golf course. In such cases you can literally play hands free. Some Laser rangefinders allow to measure slope factors on the golf course. Can be used on any golf course. No download required. Frequent recharging not required in Laser rangefinders. Laser rangefinders have a long life provided the laser apparatus is not damaged. Check out our guide on buying the right golf GPS watch. Measures distances and a variety of other statistics. Statistics tracking and sharing with phones is possible in many devices. Some golf GPS devices Like VoiceCaddie offer voice services. In such devices, you need not look at the screen for distance. It will be automatically announced in an unobtrusive way. Some Golf GPS watches double as fitness bands, outside of the course, that will measure your steps or calories. 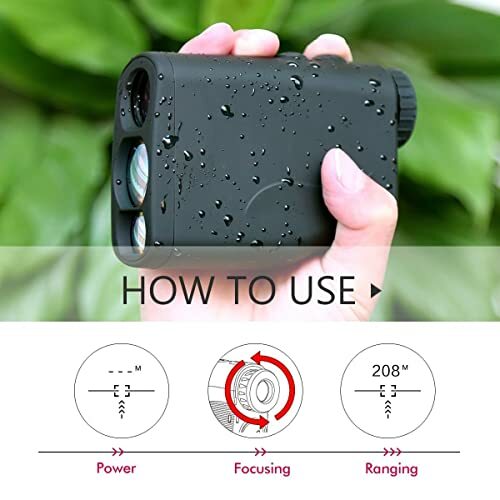 For many laser rangefinders, it is difficult to read horizontal targets and instead you have to point at a vertical marker which defeats the purpose of distance calculation. Metrics tracking is not a prominent feature of many laser rangefinders. They cannot be synced with your Android or I-phone for a comprehensive blow-by-blow account of you performance. Laser rangefinders are bulky compared to the golf GPS watch and clip-on peers. They have to be carried in your golf bag if you want the rangefinder to long last. It would be difficult to aim and use laser rangefinder in crowded courses where other players may intersect the line of sight. 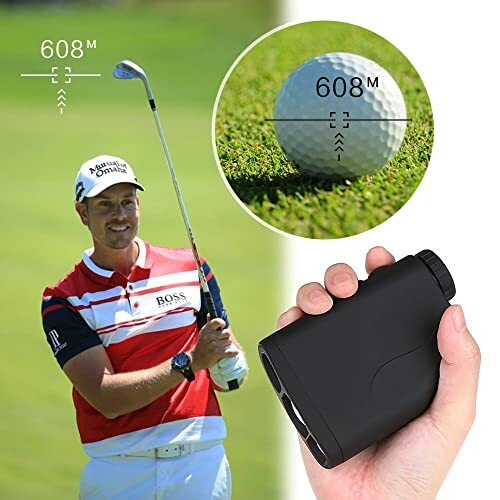 Golf Laser Rangefinders need to be pointed at target and aimed. Many a golfers with shaky or sweaty hands would find it difficult to hold the device steady to take aim on the target. So even though the rangefinder itself is pretty accurate, its usability may be marred by human error. You have to peer into the screen and aim at target in absence of good visibility. Golf GPS use the satellites to lock in the position and provide you with the distance directly on screen. Golf GPS devices are not accurate to the yard in most cases. Some reviewers have boasted of this prowess for certain brands like Bushnell, but this is not a consistent feature. Golf course maps may have to be downloaded in case it is not already loaded on to your device. Although if your course is already on the device database using golf GPS is as easy as breathing, the absence of it can be a real pain. If you have an innate aversion to technology, you might not prefer to go online and download it. In the defence of Golf GPS manufacturers, they make the whole process as user friendly as possible. If the map of your golf course has changed and it is not updated in the manufacturer’s database, you will receive incorrect distances until it is corrected. This can be especially trying if the firm does not take the need to update seriously. Golf GPS devices need frequent recharging. They may go up to 2-3 rounds maximum on one charge cycle. Check out our guide on buying the right golf rangefinder. The decision between laser rangefinders and golf GPS depends on the golfer. The level of patience or dexterity that she/he has can tip the balance in the favor of laser rangefinder. On the other hand, the tech savvy will see GPS golf systems as a blessing. This post definitely does a good job of spelling out the pros and cons of a GPS vs. a laserfinder. Because I am more tech savvy, I would most likely choose the GPS.